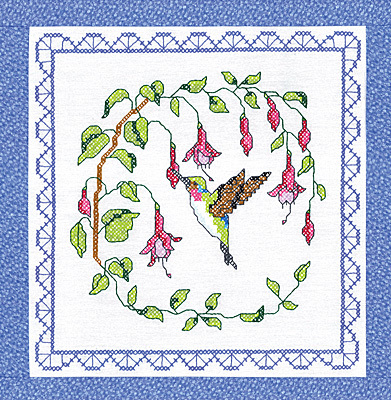 Hummingbird Quilt block is a stamped cross stitch design by Sandra Garbrandt. Picture a hummingbird humming around beautiful fuschia. 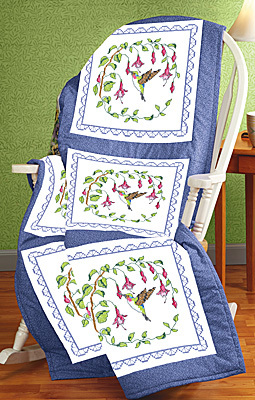 Contains: 6 screen-printed 18"x18" 50% Cotton / 50% Polyester quilt squares, needle, graph, and instructions. Size 15"x15"